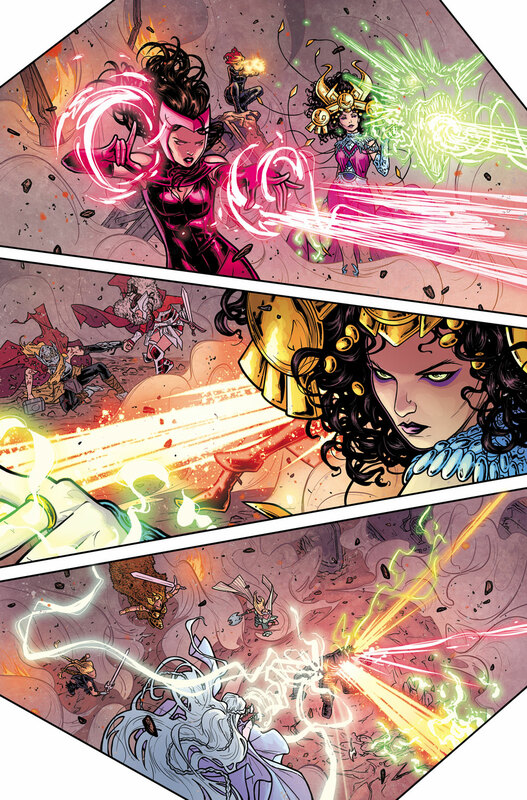 Pullbox Previews: Thor #8 The Goddess of Thunder Reveals her True Identity! This is it! The answer you’ve all been waiting for! The identity of Thor, Goddess of Thunder, finally revealed! Who is this mysterious heroine with the might of Mjolnir in her hands? 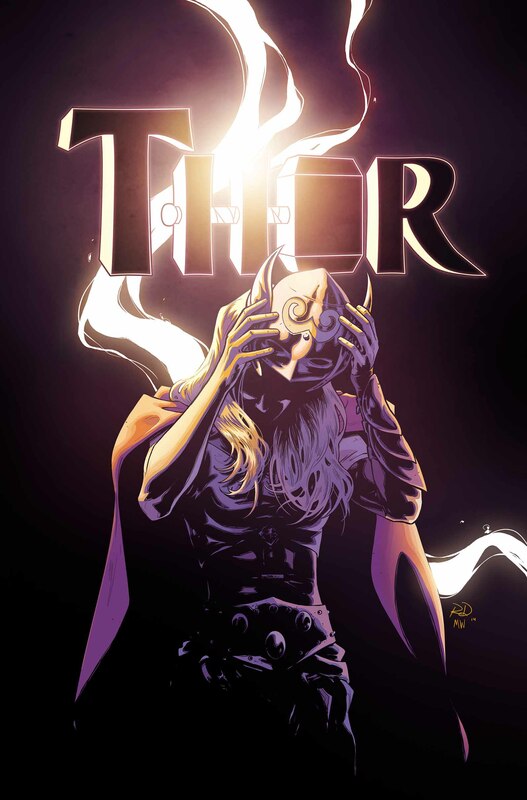 The question will finally be answered this May in the blockbuster THOR #8 – from the critically acclaimed creative team of Jason Aaron and Russell Dauterman! 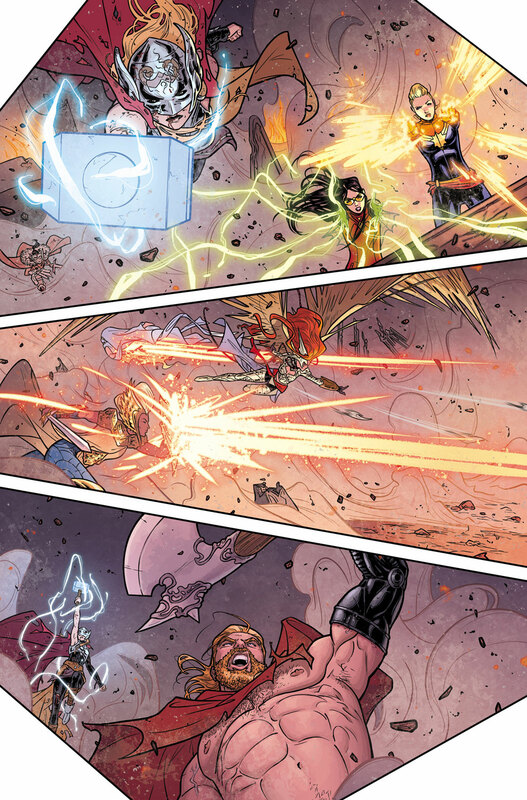 As the final battle with the Destroyer reaches its climax, Thor and Odinson call in a little backup. Amid the fire and the fury of battle, questions will be answered. A surprising return! Guest stars galore! 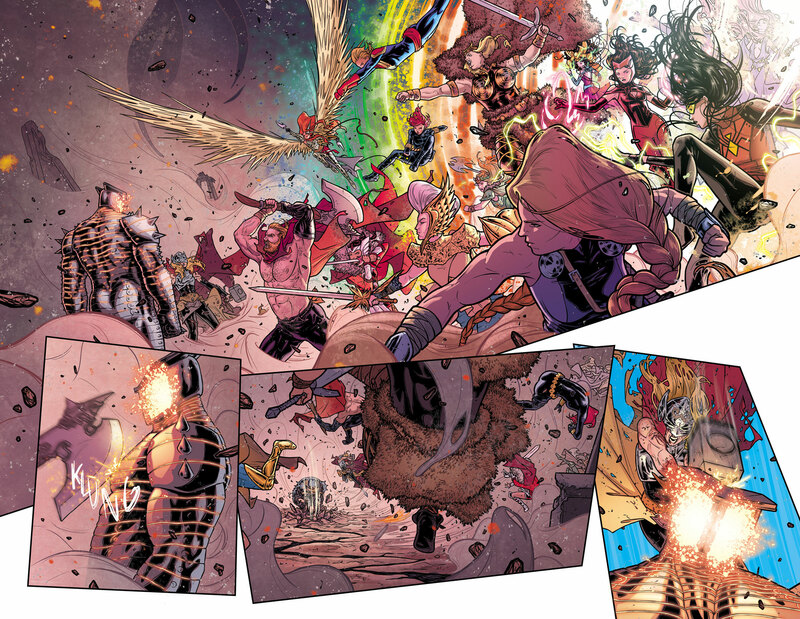 And a last page that will send shockwaves through the Marvel Universe! Don’t miss the comic that will have the world talking when THOR #8 comes to comic shops and digital devices this May!